Intended to save the Communist Party from itself, Wang Qishan's crackdown may ultimately undermine it. I have to give Beijing credit. 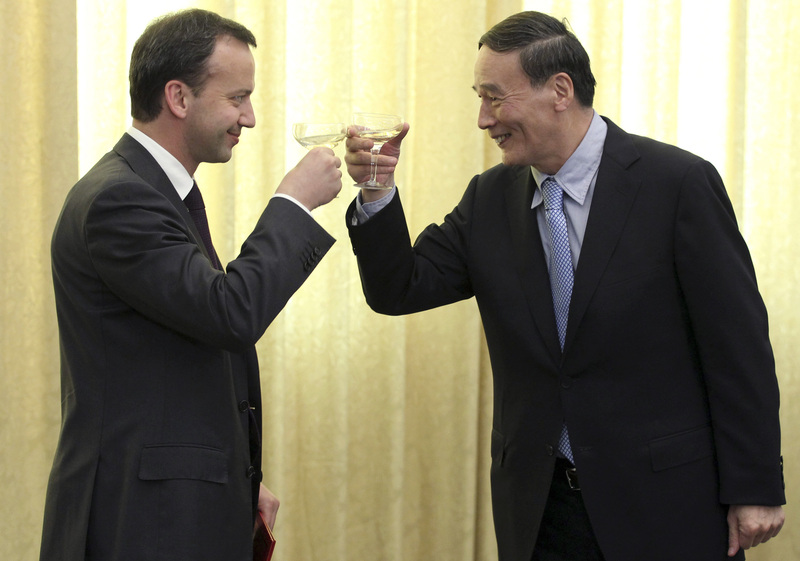 When the Chinese leaders put Wang Qishan in charge of the anti-corruption effort, they knew what they were doing. Widely believed to be one of the most competent of the new leadership, he has ensured that no policy arena has as much energy behind it as his anti-corruption campaign. Other priorities such as building a social welfare net, protecting the environment, and reforming the economy are still in the familiar planning and blueprint stages. Wang, in contrast, has spearheaded campaigns against multinationals, Chinese companies, individual Chinese officials, and businesspeople. Scarcely a week goes by when one corruption case or another does not make Chinese headlines. Alongside the anti-corruption campaign, a crackdown against Chinese netizens is also in full-swing. Nominally designed to limit online rumor-mongering—people may be charged with defamation if their rumors are read by 5,000 users or forwarded more than 500 times—the crackdown has landed squarely on the shoulders of some of China’s most popular, politically outspoken businessmen bloggers: venture capitalist Wang Gongquan has been detained on charges of “gathering a crowd to disturb order in public places”; Chinese-American investor Charles Xue was arrested on prostitution charges; and billionaire real estate investor Pan Shiyi has not been arrested or detained but appeared on television to say that it was important for those with large followings to “tweet responsibly.” Each of these prominent business personalities has boasted well over a million Weibo followers at one time or another. Beijing’s strategy—while widely heralded by the official Chinese media—seems like one destined for short-term gain but long-term pain. First, by accusing and arresting people before the judicial system has been reformed, the Chinese leadership runs the risk of undermining much of the purpose of the anti-corruption campaign—restoring the legitimacy of the Communist Party. People are already suspicious about why certain officials and businesspeople are being targeted while others are not. Moreover, as attacks are levied against leading bloggers, the anti-rumor campaign begins to look like an effort not to push forward on the rule of law but rather to reintroduce fear among intellectuals and other reformers à la the Anti-Rightist Campaign of the 1950s, which targeted those whose voiced independent opinions. Limiting the voices of public intellectuals also will hamper the Party’s objective of spurring creativity and innovation within Chinese cultural, social, and economic life. If there is no questioning, there is no change and no progress. Had it not been for Pan Shiyi leading the netizen charge for greater transparency in Chinese air quality statistics, the Chinese public would likely still be waiting to understand why official blue sky days are not actually blue. And as my colleague Adam Segal remarked, the crackdown against outspoken liberal business leaders is reminiscent of Putin’s message to the oligarchs: get with the program or get out. The danger, of course, is that in fact, they will get out—leaving China without much needed intellectual, creative, and financial firepower. And then there is the ever-present effort by Beijing to exert its soft power. No matter how often Chinese officials hear it, they seem unwilling to accept that soft power begins at home, with the values, culture, and opportunities the Chinese people, themselves, experience. If these fail to attract the rest of the outside world—and who is going to be attracted to a regime that silences its best and brightest—no amount of Chinese media blather will compensate.